1. Keep your head up.’ Always a good idea, but there are two reasons when fraud is involved. 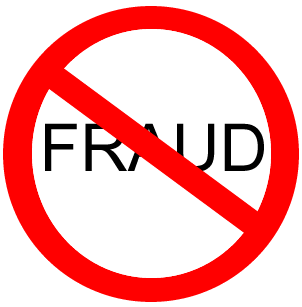 In the first place, most frauds are simple, and are best detected and prevented at the most basic level. Complexity is the fraudster’s friend. While a focus on details is generally a good thing, it is not always the case when it comes to fraud prevention. Secondly, professional fraudsters move on. Flipping becomes flopping as night turns into day. You only get hit where you’re not looking. Keep your head up and maintain the broadest possible view. 2. Push it down the street.’ I frequently hear that you can’t prevent fraud, that losses due to professional fraud are a reality of the financial industry. Furthermore, that these are ‘professionals’ and that they are perfectly capable, if that is their intent, to conduct their nefarious schemes. While all of this is true, ‘professionals’ seek out the easiest and safest havens. The reality for any particular bank is that it can greatly reduce its own losses by merely doing better at fraud prevention than the other financial institutions in its marketplace. Being better than the rest is not the entire story, but it’s a very good start. 3. ‘Be a missionary.’ I’m always surprised by the inability of our industry to pass on ‘lessons learned’ when it comes to fraud. Success has many fathers, while failure is an orphan. Apparently no one is willing to talk about fraud failures. Not long ago I was at a client bank, conducting a seminar. An account officer was summoned from the room. When the person returned two days later we learned that a young, inexperienced back-office employee had, in accordance with guidelines, permitted overdrafts caused by transfers, in amounts up to $5,000, on an account managed by the officer. In this case, dozens upon dozens of transfers, one after the other, all in rough amount of $4,999. Had the young employee heard fiery sermons on fraud and fraud prevention? You know that the answer is ‘no.’ Will this likely happen again at this or an institution next door? We know that it will. As unpleasant as it may seem, we need to tell, and retell, the fraud lessons from our and other institutions. ← Is Wrong a Better Teacher than Right?